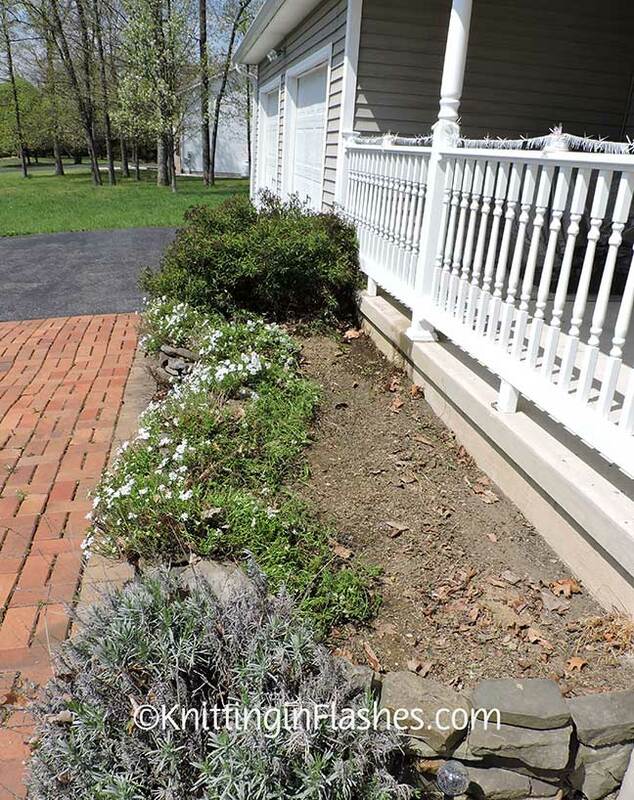 Mr. Aitch and I cleared most of the leaves out from the front flower beds on Saturday. If you look closely, you can see the silvery icicle garland strung across the railings to keep the birds from roosting and pooping there. After looking at the pictures, it doesn’t seem like we did such a great job getting all those leaves out! 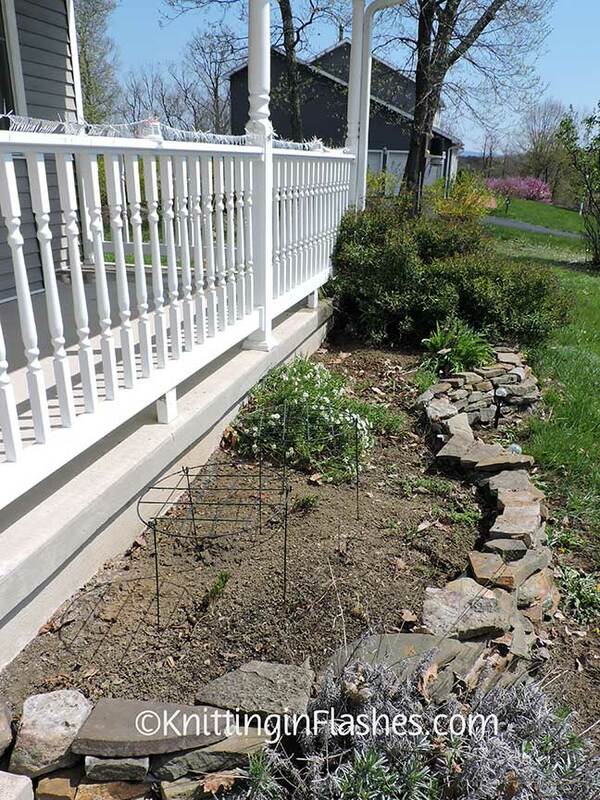 Those round “grates” above should keep my Balloon flowers from falling over. I have a third plant farther back that hasn’t started to emerge yet so I’ll need to buy another one of those supports. I should have taken some “before” pictures but when I thought about it, it was too late to get my camera. I need to put some layers of newspaper down on the bare ground to keep the weeds from getting a stronghold before the tomato plants go in. Yes, we plant vegetables in our front flower beds. It gets the best sun plus that area has the best soil since it’s a raised bed. Our property is mostly shale. We had to truck in topsoil just to get the grass to grow. Oops! We forgot to do this side of the house. Maybe we’ll tackle that project today. Yay! 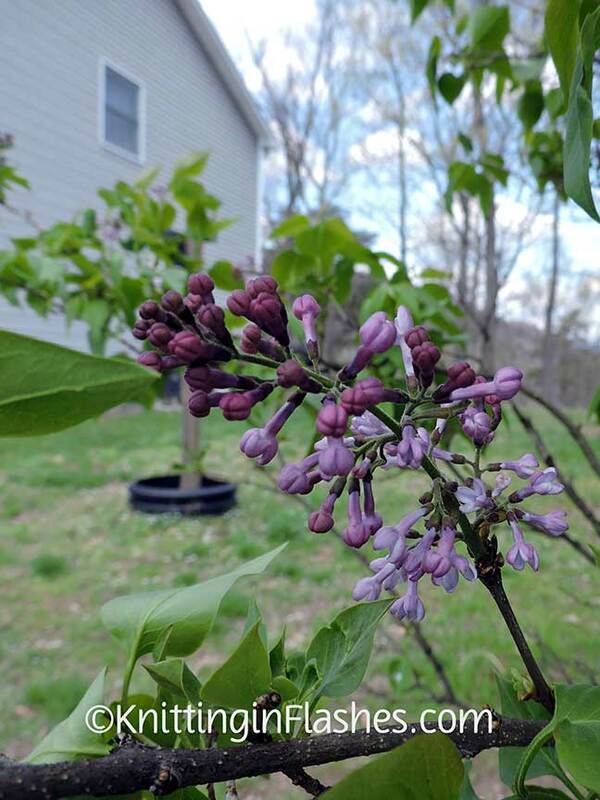 My lilac is starting to bloom! 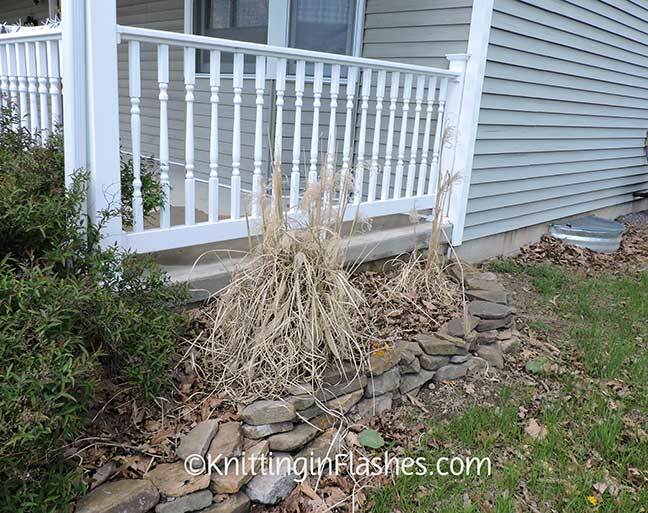 This entry was posted in garden, Home stuff and tagged flowers, garden by Patti_is_knittinginflashes. Bookmark the permalink. 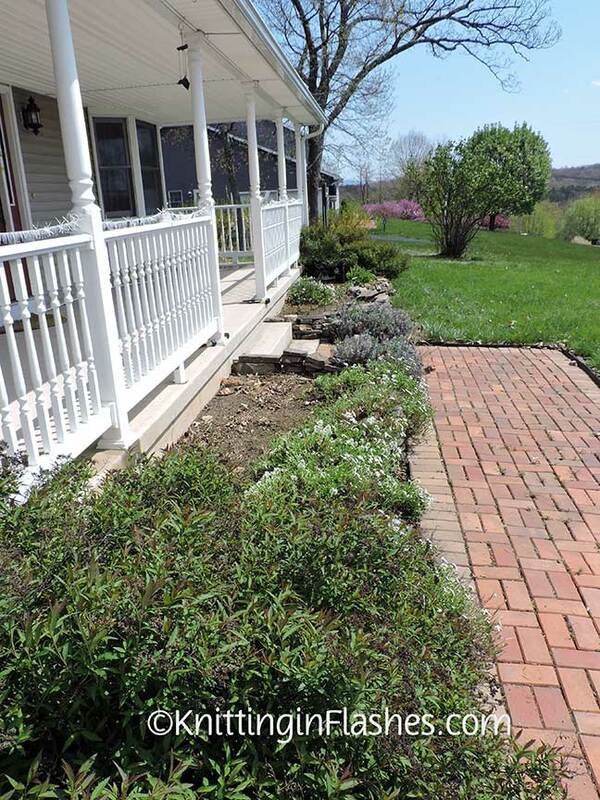 I plant tomatoes in the front flower bed, too. That way no critters eat them!! My front is a mess……I just.dont.feel like doing it right now. My Mr. Aitch can’t help so it’s.up to me. Maybe tomorrow. Well, when I say that Mr. Aitch helped, I mean that he held the can while I did all the raking and filling the can with the leaves. He did dump the can when full. I don’t blame you for not doing anything to your front yard while your house is undergoing a major renovation! And how wonderful that your lilac is starting to bloom. They smell so beautiful. it looks wonderful! Love the garland to keep the birds off!